Archaeological evidence has long disproved any historical claims of Palestinian peoplehood, but the facts did not deter Palestinian Authority (PA) Chairman Mahmoud Abbas from spuriously claiming Palestinians were in Israel from before the Biblical Abraham. Palestinian Media Watch (PMW) on Monday exposed repeated statements by Abbas and his religious adviser on official PA TV in recent months airing the ahistorical claims, according to which the Palestinians have been in Israel for "5,000" or "6,000" years - depending on which of the two you ask. 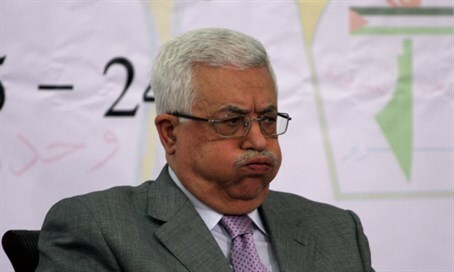 Speaking on official PA TV in late March, Abbas said, "our narrative says that we were in this land since before Abraham. I am not saying it. The Bible says it. The Bible says, in these words, that the Palestinians existed before Abraham. So why don't you recognize my right?" In exposing Abbas's assertions, PMW clarified that his "statement about the Bible is false. The only Biblical reference Abbas could be talking about is the text that Abraham dwelt 'many days in the land of the Philistines.' (Genesis 21: 34). However, the Philistines have no connection to today's Palestinian Arabs. The Philistines were a people of Greek origin who settled in the land of Canaan and lived beside the Israelite tribes." "The Palestinians who are Arabs could not have had ancestors in the land from biblical times predating Israelite and Judean statehood because Arabs only arrived in the land in 637 CE with the Muslim invasion. Needless to say, the 'Palestinians' are not mentioned in the Bible," explained PMW. Significantly Abbas in his comment based the Palestinian "right" to the land on his historical lies, showing how the attempts at revisionist history on the part of the PA are part of an intentional political campaign to legitimize its claims. The lack of actual Palestinian history was recently laid bare when the PA in May opened its Palestinian Museum of art, history and culture - with absolutely nothing inside it. Abbas told more historical lies on TV in March, when he claimed the existence of a "Canaanite-Palestinian" people dating back over 6,000 years, and further asserted that this people invented an alphabet. "This land was never without a people, as we have been planted in its rocks and dust and hills since the beginning of civilization and writing and the invention of the Canaanite-Palestinian alphabet more than 6,000 years ago," stated Abbas. PMW ripped the PA chairperson's lies apart once again, noting that writing was not invented until roughly 3,500 BCE. "The earliest Canaanite alphabet, considered to be the ancestor of most modern alphabets, is dated to around 1,500 BCE," noted the NGO. Abbas was not the only one caught spreading historical falsehoods on official PA TV, however, as his adviser on Religious and Islamic Affairs and Supreme Sharia Judge Mahmoud Al-Habbash has also regularly engaged in the pastime. Just last week in his Friday sermon, Al-Habbash was caught by PMW claiming Palestinians were in Israel for 5,000 years, from before Abraham. "They (the Jews) are thieves who stole the land, and who want to steal the history, but history cannot change and cannot be falsified. The facts bear witness to it. We have been here for the last 5,000 years, and have not left this land. We have not left this land. Our forefathers are the monotheist Canaanites and Jebusites. They are the ones who built Jerusalem, before Abraham was even here," claimed Al-Habbash. In his sermon, Al-Habbash spouted another bald-faced lie, saying, "they (the Jews) claim that there was a Temple here. Those are unfounded claims, myths, and rumors." Abbas's adviser's talk of 5,000 years of peoplehood comes following similar statements by him on April 1 - coincidentally on April Fool's Day - when he said, "the Palestinians have been on this land for 5,000 years. Of course, we were the first to reside in this land." "There was no one before us. Never was there a period in this history of this land when we were not in it. Over the course of these millennia, many have passed through this land and left. History has turned the page on them, but the land remained as well as its people and its true owners who never changed. This occupation is a transient thing, despite the pain and suffering," claimed Al-Habbash.